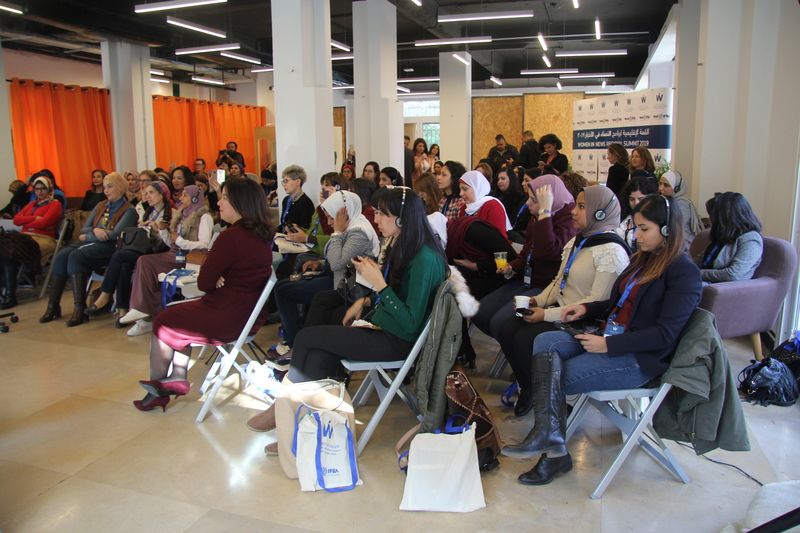 The World Association of Newspapers and News Publishers (WAN-IFRA) held the inaugural Women In News (WIN) Middle East and North Africa (MENA) Regional Summit in Beirut, Lebanon between 15 and 17 January 2019. 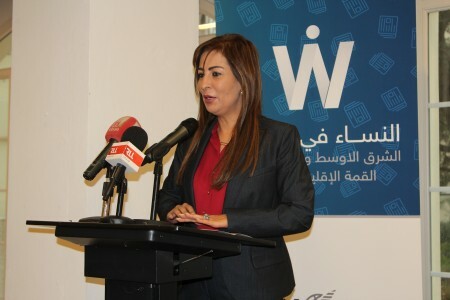 WIN Regional Director, Fatemah Farag, gave the opening statement to more than 100 women journalists from Egypt, Lebanon, Jordan, and Palestine who have been part of the WIN MENA programme over the past four years. The Summit was attended by a number of international journalists who are speaking on a number of sessions over the period of two days. On the Summit’s first day, Senior Executive at Bloomberg, Laura Zelenko, lead a session on media management, and how her organisation adapted internal policies to achieve gender balance. Zelenko invited participants to share their stories and experiences as women journalists during her session. 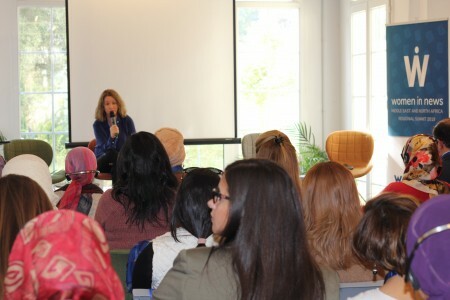 The day continued with a session on peer mentoring with WIN coaches Dalal Saoud, Mahmoud Atout, Lamia Radi, and Fatma Kheir, as well as a session on sexual harassment in newsrooms lead by Carin Andersson, Director of Human Resources at MittMedia in Sweden and Egyptian journalist Lamia Radi. During the last session of the day, investigative journalist Mohammed Komani gave a Google Masterclass on the latest tools offered by the Google News Initiative. On day two of the summit, WIN's women journalists were joined by a number of CEOs, and Editors-in-Chief from some of the region's most impactful media organisations. Representing the Lebanese Ministry of Information, on behalf of His Excellency Melhem Riachi, the Lebanese Minister of Information, Laure Sleiman, Head of the Lebanese National News Agency (NNA) gave the opening statement at the Summit's second day. Her Excellency Jumana Gheneimat, the Minister of State for Information in Jordan, gave the keynote speech. Melanie Walker and Fatemah Farag, also gave statements. In her remarks, Ghuneimat said that her feelings are mixed, because she has been part of WIN’s journey from the beginning as a member of its esteemed Steering Committee, and is now attending the Summit as a representative of the Jordanian government. She added that she believes in the issue of empowering women in the media and training them to take leadership positions, pointing out that WIN is one of the most important programmes aiming to train and support women in order for them to get empowered, and acquire new skills. The Minister also stressed the need for a free, balanced, professional and non-partisan media to help develop societies. position as a platform for information, analysis and debate, media have a unique opportunity influence the communities they serve and thus society at large, amplifying either positive or negative trends in representation,” said Walker during her remarks. “WAN-IFRA believes that real and concrete change can be made by working from within the industry to tackle the practical, structural and cultural barriers to equality in the news media industry in a peer-led manner,” she added. The day continued with a presentation on WAN-IFRA’s latest “World Press Trends” report by Vincent Peyrègne, as well as a session on “How Bloomberg Made Gender Diversity Central to its Business Strategy” by Laura Zelenko. During the last sessions of the day, Stephan Rae, Gordon Edall, and Carin Andersson discussed the issues of audience engagement, digital financial strategy, learning to unlock value in the news business, as well as sexual harassment and newsroom management. The third and final day of the Summit was a closed session for CEOs and Editors from Egypt, Jordan, and Lebanon to exchange ideas and experiences with international market leaders Francis Morel, CEO of Le Parisien, Stephan Rae, and Gordon Edall.